Air hostess job is one of the most prestigious and highly paid professions. But despite this, in the frames of the airlines is a lot of turnover due to severe physical and emotional sense of the work. In Saint Petersburg there are free and paid courses for future flight attendants. Training in the airline "Transaero"
"Transaero" every year is gaining comers, passing on the requirements of the company, to receive free training on the profession "Steward". After successfully passed examinations, the airline owners of a new profession employs to yourself. Learning is 3 months. 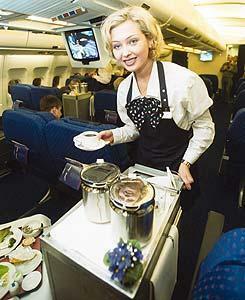 The average salary of flight attendants on international flights is 50 - 75 thousand. Requirements to the candidate is mandatory, Russian or Belarusian citizenship, age limit 19 to 30 years, height should be 160-175 cm for girls clothes size not more than 46, speaking, vision and -2.5. Future flight attendant must also be able to swim, have a passport and be free of scars and tattoos on the hands, face and neck. Your CV should be sent by e-mail aazakharova@transaero.ru. St. Petersburg air transport College of civil aviation named after chief Marshal of Aviation A. A. Novikov offers for future flight attendants pay for courses "Service on Board the aircraft". The school is located on Liteiny prospect, 48/50. Your questions can be sent to the email address of the school ATK@spbguga.ru. or ask by phone 8 (812) 273 46 67. Also, the airline "Aeroflot" spends a set on learning a new profession "Steward" in its St. Petersburg branch. Training takes place at the expense of the company, followed by employment. Three years should work in the company after getting a profession. Who does not want to stay in "Aeroflot" could learn a fee. Paid training is approximately 40 - 65 thousand. For applicants put forward the following requirements — not younger than 19 and not older than 30 years, education not below average, commutativity, good looks, good health, German and English should be at a conversational level. More detailed information can be obtained by phone: 8 (812) 438 56 83. In St. Petersburg is recruiting for the position of flight attendants and foreign airlines. For example, Qatar Airways each year makes the selection of candidates and provides training in the Qatari capital Doha and in the subsequent to work for three years in the company under the contract. After reviewing a summary of the airline or school is invited to two interviews with a psychologist and English. If these stages are successfully completed, in the future, to undergo a medical examination. Only after starting school, exams and work on Board the aircraft. But the flight attendant job is quite responsible and serious, because the main function of flight attendants – security on Board the aircraft. 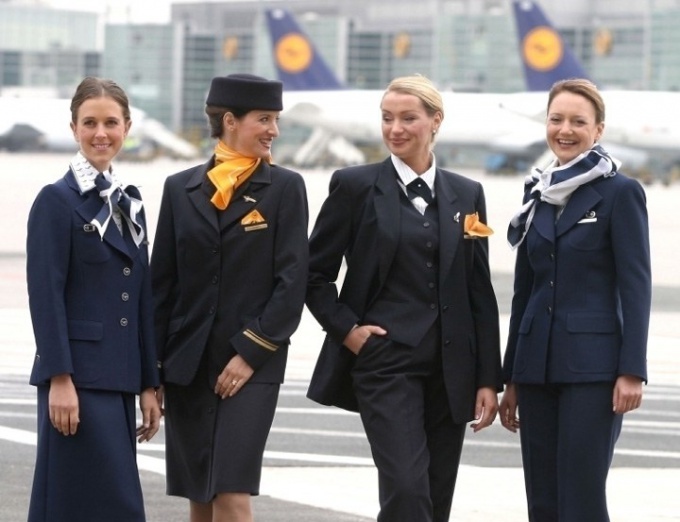 To become a flight attendant can girls from 18 to 27 years. In the stewardess attended with an eye on physical performance. The flight attendant should have a pleasant appearance, tall (preferably about 170cm), her speech should be intelligible and clear. The main condition – good command of English (at least three University courses). In order to pass the courses of the flight attendants, you must first call the airline employee that You want to take, and to know when is set – usually the autumn or spring. Then need to be interviewed, the results of which You will be given a referral for medical examination (it is still called Vlek – medical / flight expert Commission). Flight attendants can only be absolutely healthy people. If You have passed a medical examination, You will undergo another three months training (some airlines term training of flight attendants is 4 months or more). During the training You will receive both theoretical and practical knowledge in specialized disciplines. 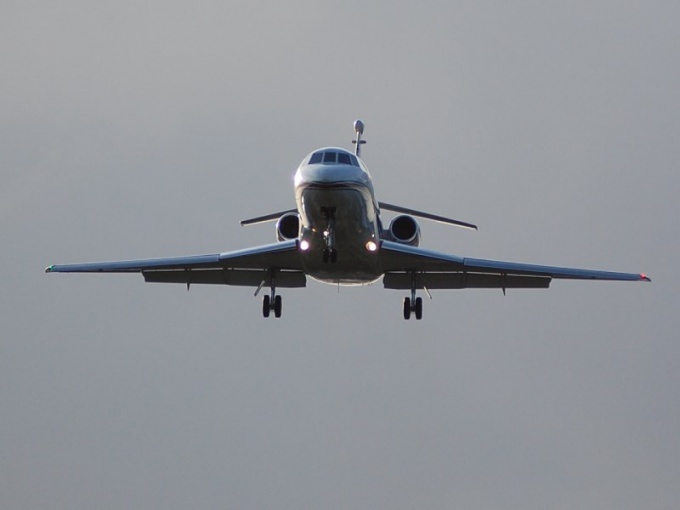 You will have information about all the types of aircraft, about safety, about how to provide first aid if necessary and how to behave in emergency situations. All flight attendants are taught how to communicate with passengers and, if necessary, to evacuate them from the plane in 90 seconds. In the process of mastering each of the disciplines of flight attendants passing exams and tests, and if all evaluations are positive – future flight attendant must fly another 30 hours of training with an instructor. After that, the flight attendant receives a certificate that is a flight attendant, third class. The accumulation of practical experience, the class will improve, in order to obtain a certificate of flight attendant of the second class must be completed 2 000 hours, and to obtain a certificate of flight attendant first class – 3 000 hours. 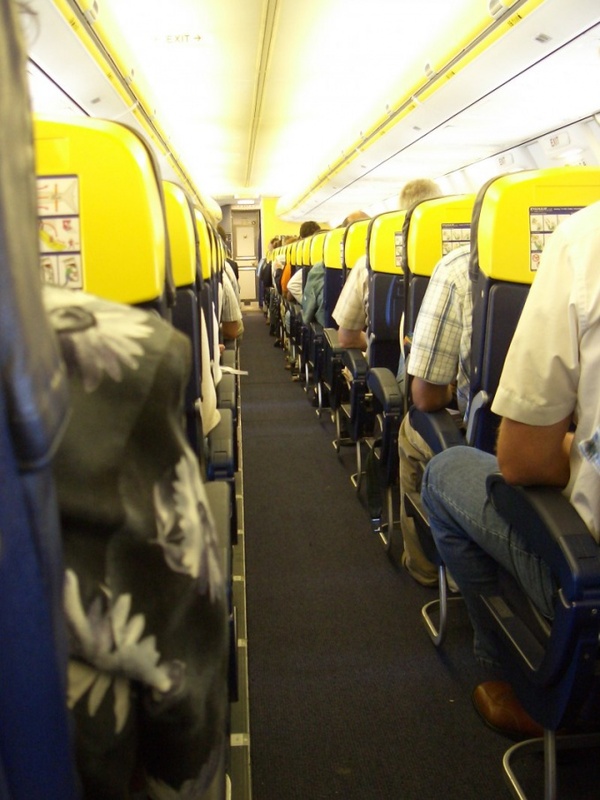 While sanitary regulations prohibit flight attendants to fly in a month more than 77 hours. The salary of flight attendants depends on its class and the number of hours worked. If You are sure that to become a flight attendant – your call, go ahead and conquer the professional peaks. A few decades ago to get a job as a flight attendant was extremely difficult. Now the situation is different: major airlines taking on the job even without experience and give training courses. To get a job as a flight attendant today is possible without special training. 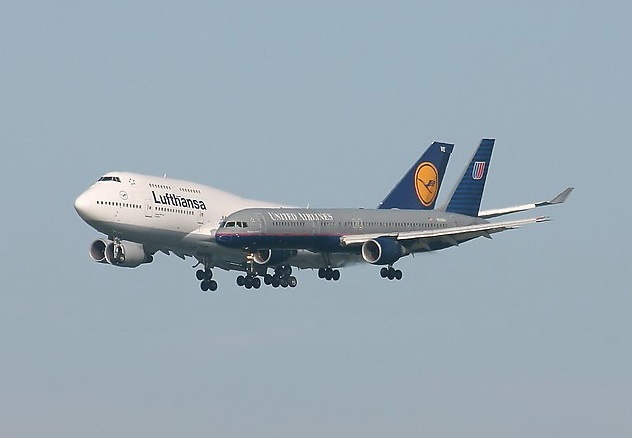 However, the requirements of most airlines almost always the same. Therefore, before trying to get to work, you need to allocate some time to match them. Most of the requirements relate to appearance. Rise of flight attendants should be between 165-180 cm, stewards, 175-190. Age - 18 to 30 years. Of course, your height and age you can not change. But other options - completely. Clothing size girls should not exceed 46, boys 54. So if you have a distinct excess weight, you should lose weight. Remove visible areas of the skin all kinds of tattoo, piercing, and large birthmarks and other defects that can be eliminated. Contact your dentist and correct the serious dental problems, if any. Because the flight attendant is the face of the airline, so pretty and well-groomed appearance is very important. Engage education. Higher education is not necessary, but preferable. Also, all airlines require knowledge of a foreign language. While there are some that are absolutely not English and some other language, depending on the specifics of the flights. Sign up for a crash course in a foreign language, to master it at an average level in the shortest possible time. Learn the basic rules of etiquette because you have to deal with the customer service. Pay attention to their health, strengthen immunity and cure all chronic diseases. Enjoy sports like Jogging or fitness. Before applying for a job you have to undergo a medical examination. Yes, and good form does not hurt you in any way. Prepare summary. Reflect all your data and skills, and also describe in a few lines why you want to work flight attendant. Send CV with photo directly to the airline, where you would like to get. Previously find out about training courses in these companies, of potential career growth and the main directions of flight. If you have health problems, think carefully should you choose to work flight attendant. Overload, jet lag, stress, penetrating radiation - is not the best way impact on your health. Find out about additional privileges. Different airlines offer various packages for their employees: corporate lending, health insurance, discounted flights for family members. Any of the girls at least once in my life dreamed of becoming a flight attendant? The romance of flying, the ability to see the world capture the imagination and cause many people to go on courses of flight attendants. But before you decide to become a flight attendant, weigh all "for" and "against", because this profession is associated with risk. • Absence of scars on the skin, tattoos on exposed areas of speech defects. If your settings match those requirements, fill out the form on the website of the airline. Transaero - http://transaero.ru/ru/company/personal/anketa, S7 - http://www.s7.ru/ru/about_us/work_with_us/moscow_26.04.2010-1.htmlAeroflot temporarily not recruiting flight attendants. Attach a full length photo in business suit and makeup, it will increase your chances. In case of positive answer you will be invited for an interview, where the Manager of the airline will assess your appearance, demeanor and speaking. You must have a neat haircut (if your hair is long, put it in a ponytail or a bun), calm makeup, be in a suit or in a skirt with a blouse. Bring the above documents. Be prepared to answer a variety of questions, including about how you would have behaved on Board in a given situation. Besides the main part, you will test the knowledge of the English language. The test includes grammar, listening, conversation on ordinary topics (a story about yourself, about the profession of flight attendant, etc. ), a summary of the text. Excellent command of the English language will give you additional chances for admission to the school of flight attendants. After a successful interview you will undergo medical Commission and begin classes. 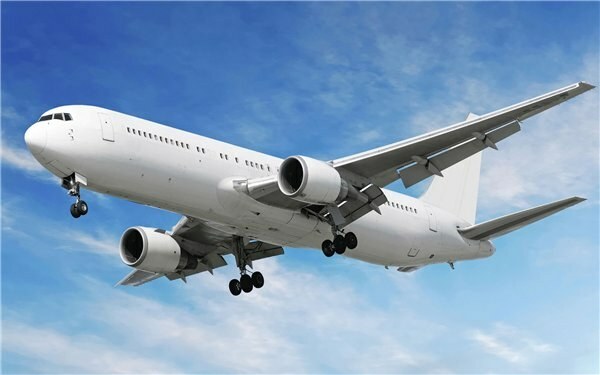 Training is conducted on the basis of the airlines, continuing from 2 to 3.5 months with scholarships, exams and internship on completion of the course. Employment history is from the first day of training. And then – only the sky! Try to articulate why you want to become a flight attendant. This will be useful when deciding about sending your profile to the airline, and at the interview. Remember, the primary duty of flight attendants is to ensure the safety of passengers on Board. The flight attendant is a specialist in the crew of the aircraft whose primary task is to ensure the comfort and safety of passengers during flight. Work in the so-called "schools of stewardesses" or "sky schools". If you have seriously decided to become a flight attendant, choose the airline in which you would like to work. Almost each of them has its own school. To future flight attendants meet high requirements: their age must be at least 18, but not more than 35 years; the increase is strictly from 160 cm; right speech and a pleasant appearance will also be required. For admission to the school of flight attendant you need to be interviewed. There you will have to briefly tell about yourself, to show a crust of higher education (if any), and also mention about your skills and abilities. Preference usually is given to those girls who know the English language . So before you go for an interview, your foreign is better "pull" in specialized courses. It should also note that international airlines are working normally flight attendants with higher, preferably linguistic education, and on domestic flights it is possible to work without it. Before to go to school, you will have to undergo a serious medical examination. Many only accept those with excellent health (no nervous and cardiovascular diseases). You also will not allow for classes, if you fail the psychological test incorrectly or will behave in a stressful situation. If the interview was successfully completed, ahead of you waiting for training at the flight attendant , which lasts about 2-3 months. Have to study 6 days a week throughout the working day. If the interview representatives of the airline will be interested in your person, the training you will be free. You will even be paid a small stipend (about 5 000). After three months of training you will be invited to undergo training at one of our aircraft (although these dates are only approximate). After you pass it, and pass the final exam, you will be allowed to work. Two decades ago to become a flight attendant, but rather the flight attendant was more prestigious than a model or actress. Travel, beautiful shape, interesting passengers, a far country and brought out the fashionable new clothes – all this pushed young girls to pester Aeroflot. To get to the only then existing the airline was only an acquaintance. Today, the path to the aircraft was much closer now. Standard height, the age of thirty years, knowledge of spoken English, good health and forward - to conquer the air space of our country. To finish the training of flight attendants is completely free, if to study at the training center refer you to a specific airline. But this requires it to pass an interview and a successful outcome, to conclude a contract for several years. When terminating the contract prematurely, will have to pay a tidy sum. The average tuition - and-eighty thousand. Carefully choose the airline in which you wish to work. What factors will be decisive for you? A high salary? The close location of the airport? Good benefits package? Long trips, or Vice versa, turning flight? Sometimes a higher salary, the airline company compensates the conditions in which you will have to work. Conversely, a lower payment kompensiruet reliable fleet of planes, free flights for the employee and family. During the interview act natural. Smile a bit more. A flight attendant must be sociable, friendly. The standard questions will be asked - why go to the aircraft, ready for night shifts, travel, work irregular hours? Will be a few questions in English. Even if you have a school level training, do not despair. If you manage to win over an employer, you are likely to take. Interviewed candidates are sent for medical flight expert Commission. There is eliminated about a third of those wishing to rise in the sky. You will be rotated in a special chair, check hearing, eyesight, dental health and other vital organs. If you have not passed a medical examination, the contract is not signed. The course lasts three months. There you will explain how to use the fire extinguishers and oxygen cylinders, first aid, deliver babies, and to evacuate in case of a threat, a plane full of passengers in ninety seconds. Major centers equipped with a swimming pool – the crew learning how to survive when landing on water. You will also learn how to lay the tables, serve the desired drink to each dish. In some centers teach the basics of makeup and hairstyles for flight attendants. After completing the course you will have to descend thirty hours in excess of the basic brigade as a trainee. Make them a few flights easy. Enough to fly to Novy Urengoy. Return to Moscow - a third RAID ready. However, the remaining hours can be long to finish Nizhny Novgorod or Kazan. Flight time to these cities is just three hours. But on average, a month after graduation, young flight attendants fly to your first solo flight. Be especially watchful. Old men love to make fun of youth. So don't rush to climb on the wing to check the engine or turn the wrench to the chassis. Aviation – a special world and there is humor too, as you guessed, very special. The profession of flight attendant consequences for health. Low pressure due to early appearances on the flight. varicose veins - that professional disease stewardesses. It is impossible to plan private life. The outfit is known only for a few days. And a lot of bad situations that change all the plans. No holidays, but there are often night shifts and hours a day. Work schedule is hectic. Fans of all in the life of the plan it will not work. Cabin crew have a long vacation, but to make it in the summer impossible. Flying the first year, other countries you'll only see the window above. On long trips (relay) normally fly "old". The profession of flight attendants, is still shrouded in a romantic aura, in reality, demands from its owner, responsible for the lives and health of many passengers, the whole set of volitional and psychological qualities. They are inherent not every pretty girl wants to become a flight attendant. In order to obtain the qualification of a flight attendant, you must undergo training courses organised, as a rule, the major airlines. The selection of entrants is conducted in three stages.At the interview candidates are asked to tell about their education and demonstrate knowledge of foreign languages: pass grammar test and to make the translation of the text. Chances are girls with higher education in psychology, management and medicine. Moreover, candidates must not have any defects. Girls should have pretty nice face, height, allowing you to reach the overhead bins in the cabin, and the weight from 54 to 65 pounds. If the size of the clothing applicants exceeds 46, it is considered to be full-bodied and not allowed to participate in the contest, as the completeness in this case is a sign of any health problems. In addition, the rigidity of such requirements lies in the need for space-saving in narrow aisles of the salon and the kitchen of the aircraft. The appearance of entrants should be the most natural: no physical defect, tattoo, piercing, large moles, scars, permanent make-up and extreme hair colors. The girl who wants to become a flight attendantmust be at least 18 and not older than 25-30 years.The majority of the contestants is eliminated at the stage of passing the medical Commission, since the flight attendant should have almost one hundred percent health that allows you to easily frequent change of time zones, climate zones and extreme pressure. In addition to the standard examinations and tests, girls are the tests for resistance to turbulence. The final stage of selection is the completion of a psychological test, which reveals the stress and emotional suitability, compiled psychological characteristic of a person. The flight attendant, which often determines human life should be disciplined and responsible, has to be balance and composure, have developed strong-willed qualities, technical thinking and good communicative and mnemonic abilities.The study itself lasts for about 2-3 months. During this time, future flight attendants study the types of aircraft, taught to provide medical care and security, in the framework of area studies cultures, policies and practices of foreign countries. In practical classes the girls learn how to behave in extreme situations and to build a competent contact with passengers. To obtain the certificate of completion of courses and qualification of steward of the third class must obtain at the final exam mark not lower than "four" and fly under the guidance of the instructor 30 teaching hours. The flight attendant profession has always attracted girls. Beautiful, dressed in an elegant form, always smart, friendly flight attendants greeted passengers on Board the airliner and the duration of the flight taking care of them is so romantic. But behind the external simplicity and ease are a few months of training and experience. To become a flight attendant, not enough to be only attractive. First, you must meet the requirements for its physical development that airlines present to its flight attendants. They are practically the same: great health, which will have to be confirmed twice per year, prepossessing appearance, competent and correct it, no scars on the visible parts of the body. In addition, your ROS should not be below 160 cm, and age in the range of 18-35 years. Will significantly increase your chances of becoming a flight attendant knowledge of the English language, with it you can take training even at the age of 35 years. If all the mentioned parameters and a passionate desire to fly, contact the airline that you like, but better – in all at once. Review the list of vacancies that exist at the sites of the airlines, and write a statement in a summary form, indicating their skills and education if it is already there. You will have to pass an interview – with primary you rather check on the psychological readiness to become a flight attendant, so during it you can ask one provocative question. The second interview is conducted both orally and in writing. Another interview should be conducted in the English language, here, too, you will be asked questions you have to answer, including writing. After interviews go medical flight expert Commission. To do this, you should be absolutely healthy. Before the passage of the fee, collect the necessary information from the psychiatrist, the psychiatrist from the clinic by place of residence. You will also need a chest x-ray and sinuses with photos and description, information from a dentist and electrocardiogram. General analysis of blood and urine should be taken for laboratory fee. If you were found fit, then the airline will sign a contract with you. To learn on the flight attendant, you do not need to pay, but you will be required to work for the company some time after the training. During the study you will be paid a small stipend – about 5-6 thousand rubles. Training time – 2.5-3 month, it is counted in the workbook. In the course of study includes: English, rescue, and water rescue training, the ability to care for themselves, to always look neat, care and impeccable service. You should study for 6 days a week, and your knowledge you will confirm in the examination. Training at the school of flight attendants consists of two components – theoretical and practical. The theoretical part includes the study of types of aircraft, the provision of medical care and ensure the safety of the flight. The acquired knowledge is reinforced in practice. Prospective flight attendants learn to build a true psychological contact with passengers in emergency situations to produce the evacuation of ninety seconds. Students a lot of practice: for training, there are special layouts for the aircraft in full size, fire simulators, mannequins—"passengers" pools"oceans". Future flight attendants are taught how to wear the life jackets, how to behave in case of accident medical care. The second largest discipline. Few people know, but the very first flight attendants had medical education. If one of the passengers suddenly feel bad, the flight attendant must give him first aid and to do it correctly. The flight attendant profession is very attractive to most young girls, she is not only very romantic and prestigious, but also highly paid. That's just become a stewardess is not as easy as it seems – you need to take a course and meet strict selection criteria. At the mention of the profession flight attendants in front of the eyes, a charming image of a petite girl in a blue uniform. She is always smiling and ready to help passengers, she tightened and well-groomed, knows foreign languages and is not afraid of anything. But to answer all these requirements - it is not meant to be a flight attendant. In addition, you need to be trained in special courses to go on which, incidentally, is not so easy. When applying for flight attendant all candidates go through a professional selection. Are considered, first of all, candidates not older than 30 years, with perfect health and certain parameters, that is, not full-bodied, with the size of clothes for girls not more than 46-th size, height 175 cm, and for men no more than the 54th, rising to 185 see Also external data is assessed and the psychological state of the candidates, their skills, their resistance to stressful situations, their ability to adequately respond to any threat and not to panic. Flight attendants must be fluent in the English language, because on duty, they often have to communicate with foreigners. Is a big plus and knowledge of the basics of psychology or medicine. Stewardesses and flight attendants of a major airline, as a rule, choose and prepare themselves. This approach is due primarily to the high staff turnover in this direction. Choosing the profession of a stewardess, not everyone realizes how difficult it is emotionally and physically. Free course of the flight attendants applicants must contact the airline. In case the selection Committee, composed of employees of the company with a wide experience of work, considers the candidate worthy, the applicant shall sign an employment contract for 3 years or more, and learning takes place through the Contracting authority. Those who are immediately after school want to study to become a flight attendant or flight attendant, you need to try your hand at so-called schools of the conductors. One of them has been working since 1995 on the basis of the technical University of civil aviation in Moscow. There are other similar educational institutions in Saint-Petersburg, Novosibirsk, Nizhny Novgorod and other cities. The cost of training ranges from 36 000 to 70 000 rubles. The flight attendant and the flight attendant is not just the staff on Board. In addition to the ability to bring drinks and to calm passengers, they should know the basics of medicine, proficient in spoken English and be able to use emergency and rescue equipment and have basic knowledge of aircraft design. To become a flight attendant in Moscow, you need to meet the high demands of this profession and specialized training for flight attendants. There are two options for training: free training at the airline or pay the school for flight attendants. In order to apply for flight attendant in an airline, you need to send your application, interview and selection. These courses are free for candidates, except in cases of early termination of training – then you have to pay airlines compensation the cost of the course. Course enrollment involves signing a contract stating that the candidate agrees to work a certain number of years (usually 2-3 years) specified in the airline upon graduation. The courses last about three months. The school day lasts 6-8 hours. At the time of study the candidates will be charged a scholarship. 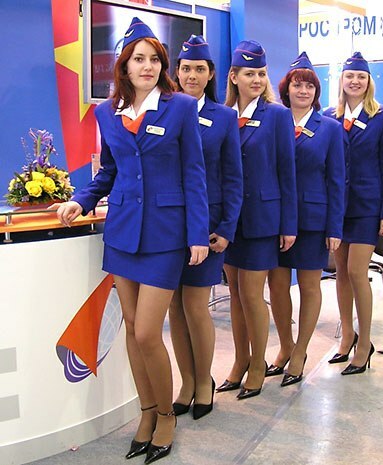 In Moscow it is possible to get on courses of flight attendants at such airlines as "Aeroflot", "Transaero", "Siberia". Another training option is to visit the paid courses, after which you do not need to be tied to the testing of required number of labour hours in a particular airline. At the end of paid training, you can get in any airline and to change jobs at any time. Such training courses are very intensive and takes a full day. The cost of a full course of study is from 30 to 50 thousand rubles. - presence of citizenship of Russia.